Angry Orchard Cinnful Apple is sweet with a slight heat. The juicy apple notes are complemented by cinnamon spice for a cider that is refreshing and smooth, yet warming. It’s the perfect choice for the colder months and holiday drinking occasions ahead. Angry Orchard Summer Honey is light and refreshing with a fruit-forward apple taste. Made with a touch of wildflower honey, this seasonal cider is bright and not overly sweet. It’s the perfect choice for warmer months. Want to try different styles of Angry Orchard? 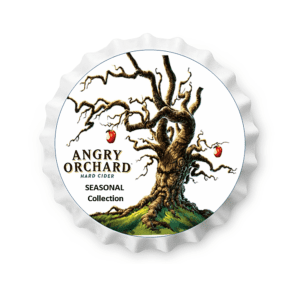 Our Variety Pack is a great way to explore the Angry Orchard line of ciders.